 To be the ﬁrst in the world to obtain nuclear reaction data for long-lived ﬁssion products, and to conﬁrm the worldʼs ﬁrst nuclear reaction path for conversion to short lived nuclides or stable nuclides. 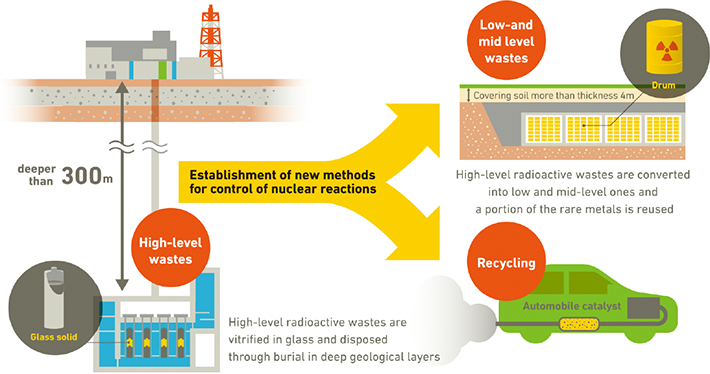 The high-level radioactive wastes produced when the spent fuel from nuclear power plants is reprocessed must be disposed of through vitriﬁcation in glass solid and burial in deep geological layers. 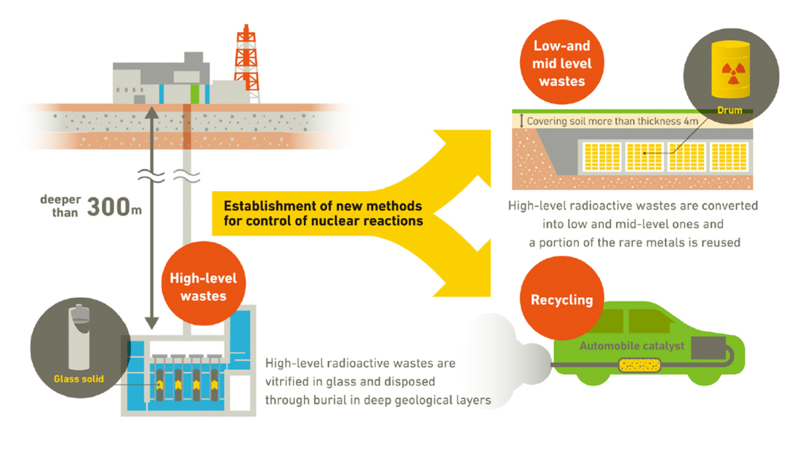 As these wastes contain nuclides with a long half-life, public concern remains over the long-term storage of such wastes. There is also a social problem in terms of the diﬃculty to determine disposal sites for these wastes. The goal of this program is to investigate the nuclear reaction paths for long lived ﬁssion products (LLFP), for which disposal in the deep layer has been the only option. The establishment of reasonable nuclear transmutation methods will enable these wastes to be converted into stable nuclides or short-lived ones. I will also make eﬀorts to develop ecological systems for the reuse of the rare metals and other resources that are included in the recovered products. Copyright © 2017 Japan Science and Technology Agency. All Rights Reserved.